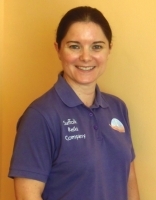 Suffolk Reiki Company *** New! I offer taster sessions, 40 minute and 1 hour appointments. Animal treatments vary depending on the type of animal I'm treating. Treatments start from £15. Concessions are available. I am a fully qualified Reiki Master who loves sharing Reiki with as many people and animals as possible! Since I discovered Reiki after being made redundant, I have learnt how this gentle, yet effective healing therapy can improve people's health in many ways, from my own experience! As I completed my Reiki training it healed me on many levels and I am now a much happier, healthier and peaceful person. I started my business at the beginning of 2012 and I now treat people from all walks of life, aged between 16 and 90 years old! I particularly enjoy hearing my clients explaining how Reiki is improving their health in many positive ways, from relieving their stress and anxiety, improving their sleep to giving them an inner calmness. I also share Reiki with cats, dogs and horses which I really enjoy as I have a huge passion for animals, especially horses! Please read the following testimonials which have been provided by past and present clients explaining how Reiki helped them, for which I am very grateful. For people, I offer daytime and evening appointments from my treatment room at my home. Local home visits can also be arranged. I always treat animals in the comfort of their own home within the Mid Suffolk area. For equine clients I travel within Norfolk and Suffolk. Please contact me by telephone or visit my website for further information.